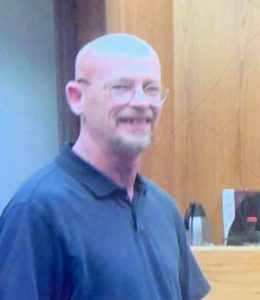 Steven Taylor Capps, 58, of San Jose, IL., passed away March 9, 2019 at Abraham Lincoln Memorial Hospital, Lincoln. Cremation rites have been accorded by Holland Barry & Bennett Funeral Home. Memorial services will be held April 7, 2019at San Jose Christian Church. Steven was born December 11, 1960 in Indiana, the son of John and Marietta (Taylor) Capps. He married Kimberly Hatley on May 23, 2003. Steven proudly served his country in the United States Marine Corp. He was a graduate of Lincoln Christian University and currently serving as the pastor of San Jose Christian Church. Surviving are his wife Kimberly Capps of San Jose; children: Ashley, Kelsey, Taylor, Hannah, and Kymbrah; step daughter Paige; 5 grandchildren; and brother Mark. He was preceded in death by his parents, his brother John and sister Jackie. Memorial donations may be made to Holland Barry & Bennett Funeral Home for funeral expenses.